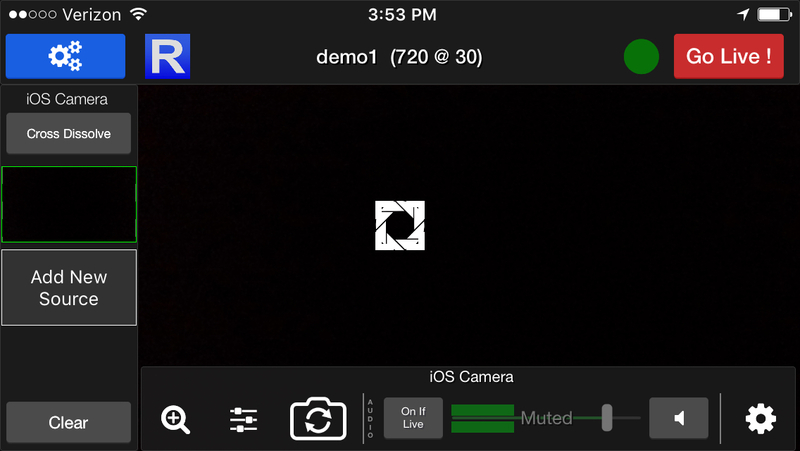 Teradek’s Live:Air Solo for iOS allows you to publish live video from your Apple device to our live stream platform. 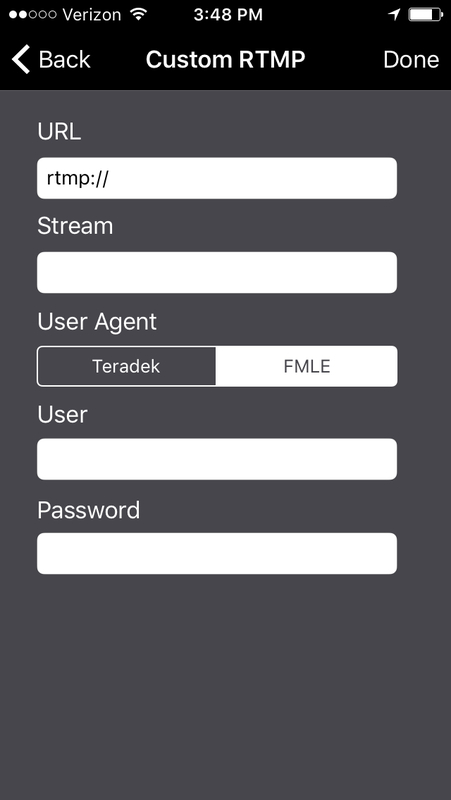 It has similarities to Wowza GoCoder but also enables you to control simple production tools, such as graphics, color filters, and switching between sources if there are other WiFi-enabled Teradek encoders on the same network. 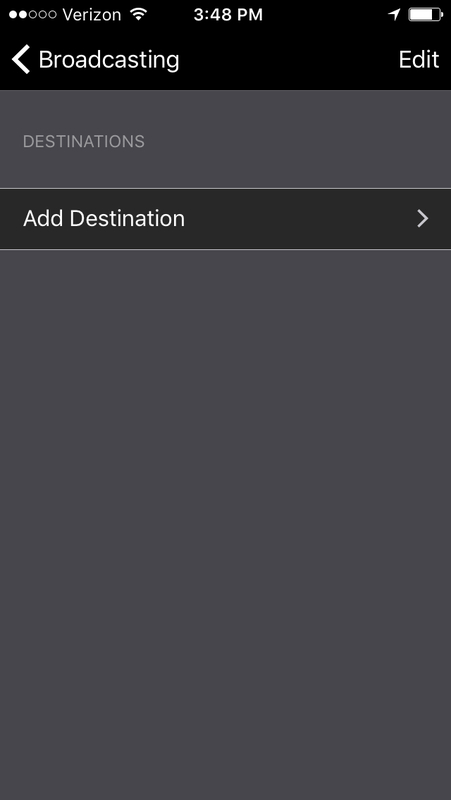 After installing and opening the app, it will open in landscape. 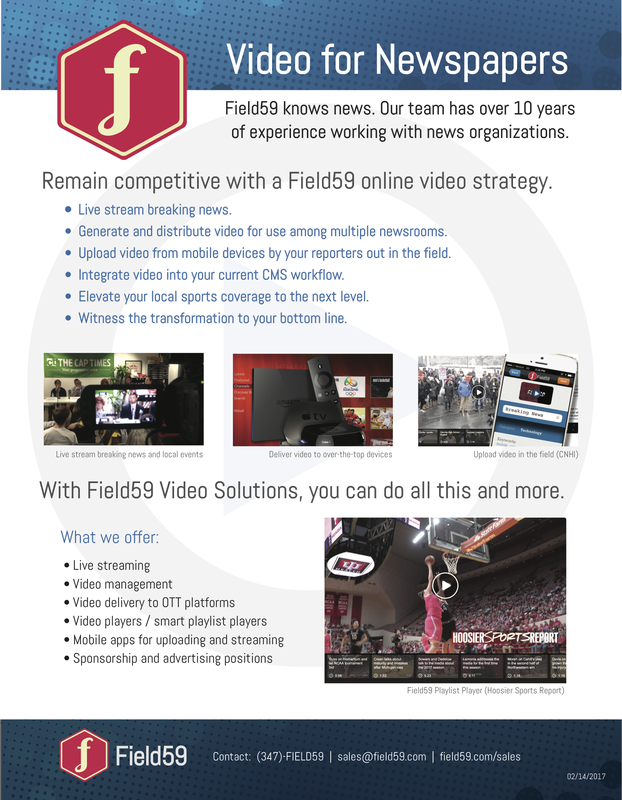 The first thing you’ll need to do is to configure a destination to which you’ll publish your stream from your camera. Click on the blue gears button at top left. 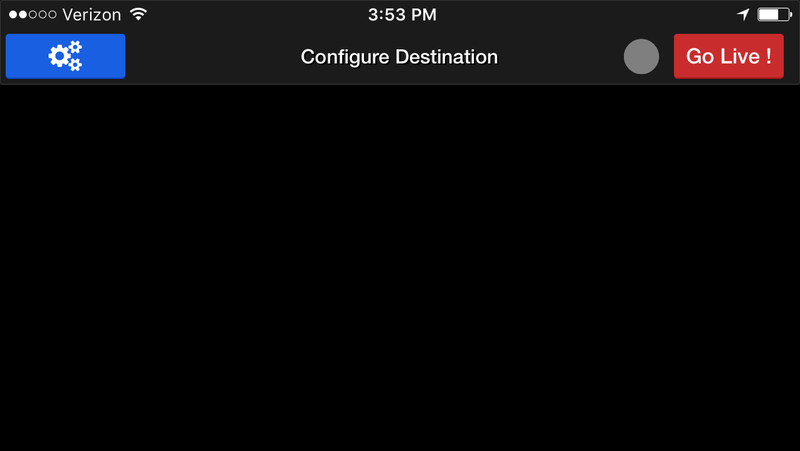 Under OUTPUT, select Broadcasting Destinations. Under URL, input your Field59 publish point. Under Stream, input your Field59 stream name. (If you are unsure of your publish URL or stream name, please contact us for assistance). Leave User and Password blank. Click Done at top right. 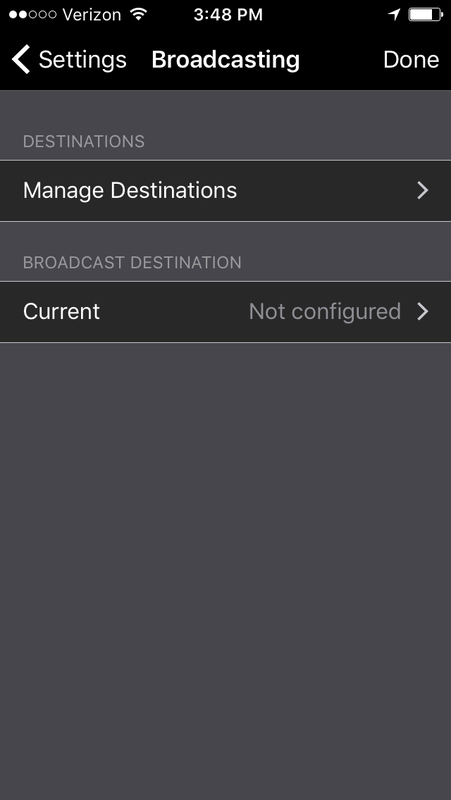 Then click Done again on the Broadcasting Destinations screen. You will be taken back to the original view when you opened the app. Click the Go Live! button to begin streaming. 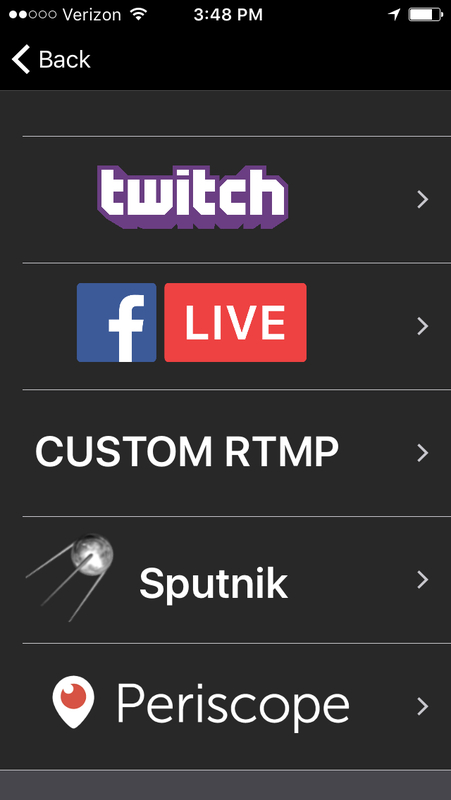 On this screen you can also tap, and/or swipe from the left or right edge to access additional options to customize the production of your stream. For more on these settings, please see Teradek’s complete documentation. 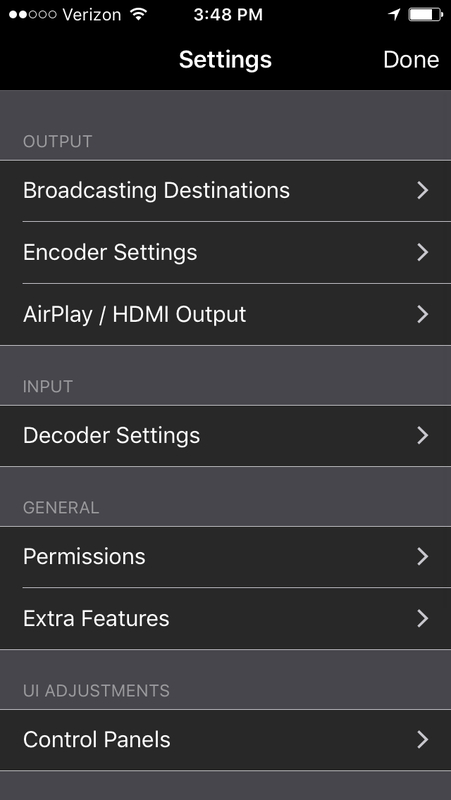 Teradek also offers additional apps to further enhance your live stream production, if you have multi-camera setups, such as the Live:Air Action and Live:Air Remote apps.